For title in the ship to pass from the shipbuilder to the shipowner, a notarised agreement between the shipbuilder and the shipowner is required and a corresponding entry shall be made in the Register of Ships. The title in the ship passes only after the entry is made, so the exact time when the title passes is not for the parties to decide. Another aspect of such a transaction is the passing of risk of accidental loss of or damage to the ship being sold; as a rule, the risk passes to the shipowner upon delivery of the ship, even when the title itself has yet not passed. The parties can change when the risk passes. The guarantor must be a person engaged in an economic or professional activity. A guarantee issued by a consumer (a natural person who performs a transaction not related to an independent economic or professional activity) is not valid. In practice, the guarantee document is made in writing. It is possible to file an action ordering the performance of an obligation to deliver the vessel with the Estonian courts, when the vessel has been completed and the yard groundlessly refuses to deliver her despite the buyer having fulfilled all of his or her relevant obligations under the shipbuilding contract. On the basis of an enforcement instrument (court judgment) the bailiff should grant a term of up to three months to the debtor for the voluntary compliance with the enforcement instrument. Upon failure to voluntarily comply with the instrument, the bailiff should release the vessel from the possession of the debtor and grant its possession to the claimant. There is, however, no case law on the subject. The shipowner’s claim against the shipbuilder would in such circumstances arise from the shipbuilding contract or from the principles of unlawful causing of damage (tort). The purchaser’s claim against the shipbuilder could arise from the principles of unlawful causing of damage. the extent of the damage exceeds an amount equal to €500. sailing yachts and launches shall be entered in the register of ships if the overall length of the sailing yacht or launch is at least 24 metres. It is possible to register vessels under construction in the Estonian Register of Ships under Construction. A ship shall be registered if the owner of the ship submits a notarially authenticated petition for registration of the ship. another legal person in private law that is located in Estonia and in the management boards or equivalent bodies of which Estonian citizens form the majority. a permanent representative whose residence or seat is in Estonia and who is responsible for compliance with the technical, social and administrative requirements established with regard to seagoing vessels in Estonia and who directly controls and monitors the use of the ship. a receipt for payment of the state fee. Estonia allows dual charter registration under a bareboat charter both out of and into Estonia. If a seagoing vessel that is required to fly the national flag of the Republic of Estonia is transferred to a person for use in the person’s own name for at least one year on the basis of a bareboat charter, and if the person is not a citizen of the Republic of Estonia resident in Estonia and does not have the right to fly the national flag of the Republic of Estonia on the person’s ships, the Minister of Economic Affairs and Communications may permit the ship to be entered in the register of another state at the request of the owner, if this is permitted by the laws of the corresponding state. The maximum duration of such permit is two years. At the request of the owner the permit may be extended for one year at a time. the certificate of seagoing vessel, and the certificate of nationality, if issued. the law that had applied with regard to the ship does not prohibit flying the national flag of the Republic of Estonia. The maximum duration of a provisional certificate of nationality issued by the Estonian Maritime Administration shall be two years. At the request of the charterer, a permit may be extended one year at a time. There is no separate register of mortgages in Estonia. Mortgages are entered in the register of ships, which is maintained by the registration departments of the county courts. The registry departments maintain information about the mortgagee (name and registry code), date of entry, the monetary amount of the mortgage (the sum of the mortgage), amendments to entries and deletion. application of LLMC limitation pursuant to its paragraph 1(b) of article 6 (limitations in paragraphs 2 and 3 of article 6 of LLMC are not applied) to claims for reimbursement of the costs of lifting, removal, destruction of a ship which is sunk, wrecked, stranded or abandoned, including anything that is or has been on board the ship, unless it is dangerous to the environment; this limit of liability applies to claims which have arisen from the same event against the same group of persons within the meaning of paragraph 1(a),(b) or (c) of article 9 of LLMC (MSA paragraph 72); this exception has been established on the basis of paragraph 1 of article 18 of LLMC. The MSA provides priority to the claims arising from damage to port facilities, basins, waterway and navigation facilities with respect to claims specified in paragraph 1(b) of article 6 of LLMC as permitted by the Convention. Shipowners and salvors (as defined in LLMC) can limit their liability as stipulated in LLMC and in addition to these, pilots can benefit from LLMC limitation regime as specified in paragraph 1(a) and (b) of article 6 of LLMC (MSA paragraph 74). New liability limitations established by 2012 amendments need formal procedure to make these applicable in Estonian jurisdiction. In order to establish a fund and later distribute the funds, proceedings should be commenced in the court of law, where the claim against the person entitled to establish the fund is filed (MSA paragraph 78(1)). A person entitled to limit the liability should file the respective application to the court and provide requested information regarding the incident, certain date about the applicant, the ship and number of passengers (if any) (MSA paragraph 80). The court will determine on the basis of the Convention the amount of the fund, which should be deposited on an account prescribed by the court (MSA paragraph 83). The cash deposit may be replaced by other security, which the court can determine at their discretion (MSA paragraph 84). An application to establish limitation fund assumes some claim filed in court against a shipowner or other person entitled to limit its liability and the limitation fund can be established with the same court where the claim is filed. The limitation fund is calculated on the basis of the GT of the vessel concerned. The same circumstances as stipulated in the convention. The liability limitation regime in respect of passenger and luggage claims for shipowners or carriers is based on the 1974 Athens Convention relating to the Carriage of Passengers and their Luggage by Sea, as amended by the 1976 Protocol, which Estonia ratified on 5 June 2002 and entered into force on 1 October 2002. In relation to the Athens Convention, the 2002 protocol has also been introduced, but Estonia has not ratified it. However, it has been implemented by Regulation (EC) No. 392/2009 on the liability of carriers of passengers by sea in the event of accidents (the PLR Regulation), which has been directly applicable to Estonia and other EU member states since 31 December 2012. The PLR Regulation ensures a single set of rules governing the rights of carriers and passengers in the event of an accident across the EU. MSA paragraph 61(1) contains a reference to the PLR Regulation in respect of maximum limitations of carriers’ liability. However, MSA paragraph 61(2) establishes an exception for regular passenger lines that increased liability over that stipulated by the PLR Regulation shall apply if prescribed by the laws of the state from which a vessel has departed or that is the destination of a voyage. Port state control is executed by the Estonian Maritime Administration, a governmental agency that operates within the area of government of the Ministry of Economic Affairs and Communications. prohibit ships flying a foreign flag from entering Estonian ports or anchorage. A challenge may be submitted to the head of the Maritime Safety Service of the Maritime Administration within 30 days of the date of detention, prohibition on entry, suspension of a regular service or prohibition on the commencement of a regular service. If a decision of the Maritime Administration does not satisfy a shipowner or the representative thereof, the shipowner or a representative thereof has the right to file a complaint to an administrative court. A classification society may be held liable following general legal principles (on the basis of breach of contract or in tort, depending on the case). However, no such case has yet been tested in the Estonian courts. If sunken property obstructs vessel traffic; maritime trade or hydrotechnical work; endangers human life or health; threatens to pollute the environment; is washed ashore; or extends above water, then the Maritime Administration specifies a period within which the owner of the property is required to raise the property. the International Convention on Civil Liability for Bunker Oil Pollution Damage 2001, which entered into force In Estonia on 21 November 2008. Estonia has signed Nairobi International Convention on the Removal of Wrecks in 2007. However the convention has not been ratified yet and it is not in force in Estonia. There is no mandatory local form of salvage agreement. The Lloyd’s standard form is acceptable. There are no restrictions as to who can carry out salvage operations. Estonia is party to the International Convention on the Arrest of Ships 1999. In Estonia a ship, irrespective of her flag or law governing the claim, may only be arrested in respect of maritime claims as per article 1(1) of the International Convention on the Arrest of Ships 1999 (incorporated into the Estonian Law of Maritime Property Act) and maritime liens as per article 4(1) of the International Convention on Maritime Liens and Mortgages 1993 (incorporated into the Estonian Law of Maritime Property Act). Arrest of associated ships is permissible as per article 3(2) of the International Convention on the Arrest of Ships 1999. Bareboat chartered vessels can be arrested for a claim against the bareboat charterer on basis of article 3(1)(b) of the International Convention on the Arrest of Ships 1999 and paragraph 782(2) section 2) of the Estonian Law of Maritime Property Act if the bareboat charterer of the vessel at the time when the maritime claim arose is liable for the claim and is bareboat charterer or owner of the vessel when the arrest is effected. Time-chartererd vessels can be arrested for a claim related to this vessel, which is secured by maritime lien. Estonia recognises maritime liens stipulated in article 4(1) of the International Convention on the Maritime Liens and Mortgages 1993, which are stipulated in paragraph 74(1) of the Estonian Law of Maritime Property Act. a ruling on securing the action, which was made before the action was filed, has been revoked due to the fact that the action was not filed on time. Claims could also arise from unlawfully caused damage on the basis of fault (carelessness, gross negligence or intent) by the tortfeasor. Arrest is permissible of a ship in respect of which the bunker claim is asserted if the demise charterer of the ship at the time when the claim arose is liable for the claim and is demise charterer or owner of the ship when the arrest is effected. However, there was a case where the court arrested a ship for a bunker claim against the time charterer. In our opinion this position is erroneous, although the question has not been reviewed in the Supreme Court. Yes. In the case of monetary claims the court shall make the securing of an action or continuation of securing of an action dependent on the provision of security in order to compensate for possible damage caused to the opposing party. The security must be lodged by the due date set by the court. If the security is not lodged by the due date, the court shall refuse to secure the action or cancel the measures for securing the action. The amount of security must be at least 5 per cent of the claim, but in any case, not less than €32. Estonian courts have discretion to determine a security amount based on the potential size of losses and expenses the shipowner may incur. However, security of between 5 and 15 per cent of the claim amount has often been sufficient. At the request of the defendant, the amount of security to be provided by the arresting party may be increased. Security shall be lodged by depositing money or securities on the deposit account of the court, or by submitting an irrevocable and unconditional guarantee document issued by a credit institution from the Republic of Estonia or another member state of the European Union for an unspecified term for the benefit of the other party. On the basis of the nature of the claim and supporting documents filed by the arresting party together with the arrest application, the court shall determine the sum of money upon payment of which to the court’s determined bank account or upon the provision of a bank guarantee to the extent of which the execution of the ship arrest will be terminated. In such case, the court shall cancel, based on the defendant’s application, the arrest and substitute it for the deposited sum of money or a bank guarantee. The sum is usually equal to the claim amount stipulated in the ship arrest application. As to whether such sum is subject to review, there is no practice as yet. Substitute security to release an arrested ship can be a cash deposit to be paid to a specified account of the Estonian Ministry of Finance or an irrevocable and unconditional guarantee document issued by a credit institution of the Republic of Estonia or another member state of the European Union for an unspecified term for the benefit of the arresting party. Parties may agree other substitute security, inter alia, a protection and indemnity (P&I) guarantee or cash deposit with a public notary account with special agreement. However, in reality, the practice of ship release for substitute security is awaiting court approval. There is no court precedent in Estonia regarding the security amount exceeding the value of an arrested ship. However, in principle, Estonian courts shall follow international conventions, which Estonia has ratified. Estonian courts should follow article 4 paragraph 2 of 1999 Arrest Convention, which stipulates that the security amount shall not exceed the value of the arrested ship. An Estonian lawyer can be appointed by a power of attorney or the appointment may be included into legal service contract or other relevant agreement or document. A document that confirms the appointment of the lawyer by a client should be provided to the court. The power of attorney or other document of authorisation can be provided in copy at the initial stage of the arrest proceedings. However, the original is to be available on request as soon as possible. Translation of basic claim documents or these relevant parts can be required, but these can usually be provided later after commencement of the arrest procedures. Documents in the English and Russian languages are generally acceptable in Estonian courts and need not be translated into Estonian unless the other party requests such translation. The translation issues usually remain to the next stages of court procedures if and when the arrested party objects the ship arrest. It is possible to commence an arrest procedure with limited documents and provide additional documents during the procedure. However, the basic documents supporting the claim should be provided at the filing of the arrest application. Limited supporting documents or an unclear or complicated claim may result in a higher level of counter-security requested by the court from the arresting party. On some occasions, the court may request the payment of counter-security in a court deposit before issuing a decree for ship arrest. The arrest application and relevant documents can be filed electronically in Estonia. It takes on average two days to prepare a good arrest application, although, this depends on the documents available to support the claim that is the basis for the ship arrest. The owner shall remain responsible for the vessel under arrest. However, the arresting party may be requested to fund the ship’s stay under the arrest until its sale if the owner abandon’s the ship or cannot maintain it. Usually it is assumed that ship’s captain shall maintain the responsibility for the ship in, which case the captain should sign respective consent before the bailiff. In case the captain does not take responsibility for the ship then the bailiff or arresting party can apply to the court to appoint a holder of the ship. This is very rare practice because usually shipowners and crew of the arrested ship want to keep custody of the ship. A bailiff may demand that the arresting party make an advance payment for particularly high enforcement costs, such as costs related to the transport, storage, guarding, meeting ship bunker costs and other similar costs. It is possible to arrest a ship in Estonia simply by obtaining a security to the maritime claim and then pursuing the claim on the merits elsewhere. For locally registered ships, the establishment of a judicial mortgage on a ship or seizure of a ship, including a prohibition on selling the seized ship. In principle, yes. However, as there is no case law, various legal complications may arise when attempting to arrest bunkers. A bailiff shall conduct enforcement proceedings (including judicial sale of an arrested vessel) on the basis of an application of a claimant (arresting party) and an enforcement instrument (court judgment). The claimant and shipowner can apply both independent of each other the sale of the arrested ship if the ship cannot be maintained properly or ship’s value is reducing significantly (eg, if winter approaches and there are no funds for its maintenance, heating, etc). Such application shall be resolved by court and the bailiff shall deposit the sale proceeds on the court account. Two types of forced sales regarding arrested ships can be distinguished. First, based on an application by the arresting party or shipowner (as debtor), the court may order the sale of an arrested ship before rendering the judgment if the value of the ship is likely to decrease significantly or maintenance of the ship would involve unreasonable costs (see question 35). Second, the ship may be sold in the execution proceedings of court judgment. In that case the claimant submits an application for enforcement and the judgment to a bailiff, who commences enforcement proceedings (ie, starts preparing public auction). The enforcement proceedings should be finished and the ship sold by way of compulsory auction within six to 12 months from the date of application to the bailiff. There are no court costs involved in the enforcement proceedings, only enforcement costs, which shall eventually be borne by the shipowner (covered by the proceeds from the ship sale). There is no way to know the definitive amount of the enforcement costs, except for the bailiff’s fee, which is calculated as a percentage of the claim (eg, for a claim of €2 million the bailiff’s fee is €30,133, which can be increased by a maximum of €5,000 in complicated forced sale cases). If a ship is sold by compulsory auction, the bailiff shall issue a certificate at the request of the purchaser that the ship is free of maritime liens, mortgages and other encumbrances. If a ship is sold by compulsory auction, all encumbrances shall be deleted on the basis of a certificate issued by the bailiff provided that all entitled persons are notified of the compulsory auction as required. Encumbrances to which the purchaser agrees are not deleted. Yes, provided that the judicial sale was carried out in accordance with the laws of that jurisdiction and the International Convention on Maritime Liens and Mortgages 1993. Estonia has acceded to the convention. Estonia signed the International Convention for the Unification of Certain rules of Law Relating to Bills of Lading (Hague Rules) in 1924 but did not ratify it. Regardless of this, most Estonian shipping companies base their international contracts of carriage of goods by sea on the Hague Rules as amended by the 1976 Protocol (the Hague-Visby Rules). The Hamburg Rules have not been ratified by Estonia. However, many principles laid down in the Hamburg rules were implemented into the MSA, which is mandatory for Estonian cabotage carriage of goods by sea. The MSA stipulates that the carrier shall be liable for the loss of or any damage to the goods caused between the time the goods are accepted for carriage (by the carrier) and the time these are delivered (paragraph 25), which corresponds to the principles of the Hamburg Rules. The goods are deemed to have been delivered if the consignee or its representative (or third-party holder of the bill of lading) has acquired direct possession of the goods or in certain case the goods are stored or deposited at the port of destination is such a way that they are available to the consignee (or third-party holder of the bill of lading). The UN Convention on Contracts for the International Carriage of Goods Wholly or Partly by Sea (the Rotterdam Rules) are under consideration in Estonia and no decision in respect of this is expected soon. Estonia has ratified the Convention on the Contract for the International Carriage of Goods by Road (CMR) on 3 May 1993, the Convention for the Unification of Certain Rules Relating to International Carriage by Air (1929 Warsaw) on 16 March 1998, the Convention for the Unification of Certain Rules for International Carriage by Air (1999 Montreal) on 10 April 2003 and the Convention Concerning International Carriage by Rail on 20 August 2008. Estonia has regulated domestic transport of passengers by the Public Transport Act adopted on 26 January 2000. The consignee or third-party holder of the bill of lading has title to sue. The shipper has title to sue on the basis of bill of lading only in case if the shipper itself is consignee stipulated in the bill of lading (MSA paragraph 38(3)). The shipper can sue the carrier on the basis of the contract of carriage of goods. As a general rule the terms of the charter party can be incorporated into the bill of lading and these are binding to the third-party holder or endorsee of the bill (MSA paragraph 38(2)). However, the arbitration clause has specific requirements for its validity to the parties. Thus, third parties can easily object to the arbitration clause incorporated into the bill of lading with reference to the charter party. There is no case law on this subject matter yet. The issues covered by the ‘demise’ clause and the identity of carrier clause are covered by the concept of ‘actual carrier’ introduced into Estonian maritime laws in 2002. Based on this, the actual carrier is liable for loss of or damage or delay of the cargo jointly and severally with the contractual carrier if the damage is caused during the period when the goods are being carried by the actual carrier. An agreement between the contractual carrier and the shipper or consignee regarding non-application of the limits of liability specified in the Act or extension of the liability of the carrier applies to the actual carrier only if the actual carrier has agreed thereto in writing (MSA paragraph 34(1)). The actual carrier may present the same objections against a claim submitted against the actual carrier as may be presented by the contractual carrier (MSA paragraph 34(2)). Shipowners may be liable for cargo damage depending on the circumstances and the terms of the contract of carriage of goods and the charter party. A shipowner can rely on the terms of the bill of lading if it can be considered as the actual carrier of the damaged cargo. The carrier shall not be liable for violation of the contract for the carriage of cargo, including any deviation from a vessel’s route, if the violation was caused by taking necessary measures to rescue persons or salvage property at sea. The carrier has a lien on cargo and cargo documents in order to secure its claims arising from: the contract for the carriage of cargo and claims arising from earlier contracts of carriage; forwarding contracts; and storage contracts entered into with the shipper according to the Merchant Shipping Act. The carrier is obliged to deliver the goods to the consignee (or third-party holder of the bill of sale) only if the bill of lading is returned to the carrier and the consignee (or third-party holder) provides a signature concerning the fact that delivery of goods has been taken place (MSA paragraph 45). If the carrier violates this obligation then the carrier can be liable for loss of goods before rightful consignee (or third-party holder). In such a case, the carrier cannot limit its liability on the basis of the liability limitation regimes established for the carriage of goods. If several holders of originals of the bill of lading claim delivery of the goods, the carrier is obliged to arrange to have the goods stored or deposited on the account of the rightful owner of the goods and shall inform the holders of the bill of lading claiming delivery of the goods thereof. If the goods require special care upon loading, unloading or during carriage, the shipper is obliged to inform the carrier in good time and shall indicate the measures that may be needed (MSA paragraph 9). In the case of dangerous goods, the shipper is obliged to inform the carrier of the nature of the danger in good time in writing (MSA paragraph 8). Before the goods are delivered to the carrier, the shipper is obliged to place the documents and information that is necessary for the loading and unloading of the goods and for conducting other formalities related to carriage, in particular for customs clearance, at the disposal of the carrier (MSA paragraph 10). The carrier is entitled to demand from the shipper the information and documents necessary for the issue of a bill of lading (MSA paragraph 40(2)). Estonia, as a country with coastline on the Baltic Sea, has a sulphur-content ECA in force. Estonia has ratified Annex VI of MARPOL, which became valid in Estonia on 18 October 2005. A limit of 0.1 per cent m/m of sulphur in a vessel’s fuel oil has been established in Estonia. This is checked by inspectors of the Estonian Maritime Administration on the basis of a ship’s documents (oil book, log, etc). In the case non-compliance is discovered, the inspectors of the Estonian Environmental Inspections will be informed, who have authority to take samples of fuel oil and make analyses thereof, which should prove non-compliance (if any). The inspectors of the Estonian Environmental Inspections have an independent right to check the fuel oil of vessels; however, their inspections of vessels is rare. The Estonian government has prepared an adoption of the EU sulphur directives (Council Directive 1999/32/EC of 26 April 1999 relating to a reduction in the sulphur content of certain liquid fuels and amending Directive 93/12/EEC and Directive 2012/33/EU of 21 November 2012 amending Council Directive 1999/32/EC as regards the sulphur content of marine fuels) into Estonian law, which should establish sanctions for non-compliance. Ship recycling in Estonia can be performed in compliance with Regulation (EU) No. 1257/2013 of the European Parliament and of the Council on ship recycling dated 20 November 2013. BLRT Grupp AS has ship recycling facilities in Tallinn, Estonia and provides ship recycling services. There are no specialised courts dealing with maritime disputes. County courts have universal jurisdiction to hear all civil, criminal and misdemeanour matters as the court of first instance. In Estonia, the Code of Civil Procedure governs service of procedural documents in foreign states. The provisions of the Code of Civil Procedure apply to the service of procedural documents in another EU member state unless otherwise provided by Regulation 1393/2007 on the service in the member states of judicial and extrajudicial documents in civil or commercial matters. A procedural document may also be served in a foreign state pursuant to the convention on the service abroad of judicial and extra-judicial documents in civil and commercial matters, or another international agreement. There is no such arbitral institution specialising in maritime disputes in Estonia. However, there are some permanent arbitral tribunals, where parties can, if so agreed, appoint maritime specialists of their choosing as their respective arbitrators. the 1958 New York Convention on the Recognition and Enforcement of Foreign Arbitral Awards. There are no rules and precedent cases in Estonia regarding the validity and enforceability of asymmetric jurisdiction and arbitration clauses; however, the relevant clauses of the 2007 Lugano Convention and the European Parliament and Council Regulation No. 593/2008 on the law applicable to contractual obligations (Rome I) should be taken into account. Estonian courts generally follow judgments of the Court of Justice of the European Union, whose judgments and resolutions can be considered relevant. There is no precedent in Estonia concerning anti-suit injunctions, nor is there any legal basis to apply for such an injunction. In the event that a non-EU court that made the decision did not have jurisdiction to make the decision in compliance with the provisions of Estonian law regulating international jurisdiction, then such a decision will not be recognised. The court should itself refuse to hear a statement of claim if the parties have made an agreement on jurisdiction prescribing jurisdiction of a specific court, or if the parties have entered into an agreement for referral of the dispute to arbitration except in the case where the action contests the validity of the arbitral agreement. If the court itself does not refuse to accept an action, a party can request the court to do so, referring to an agreement on jurisdiction or an arbitral agreement. The limitation period for a claim arising from a transaction is, as a rule, three years. In some exceptional cases, it may be as much as five or even 10 years. The limitation period for claims arising from unlawfully caused damage (tort) is three years as of the moment when the entitled person became or should have become aware of the damage and of the person obliged to compensate for the damage, but in any case, not more than 10 years after performance of the act or occurrence of the event which caused the damage. According to the General Part of the Civil Code Act the parties may agree upon shortening or extending the limitation period (the maximum limitation period extension is up to 10 years). Estonia ratified the Maritime Labour Convention (MLC) in May 2016 and it entered into force on 5 May 2017. Estonia has adopted a new Maritime Labour Law (MLL), which is based on the MLC. The MLL entered into force on 1 July 2014. In principle, yes. There is an equivalent of the clausula rebus sic stantibus doctrine stipulated in the Estonian Law of Obligations Act, according to which, if the circumstances under which a contract is entered into change after the entry into the contract and this results in a material change in the balance of the obligations of the parties due to which, the costs of one party for the performance of an obligation increase significantly or the value of that which is to be received from the other party under the contract decreases significantly, the injured party may demand amendment of the contract from the other party in order to restore the original balance of the obligations. Moreover, if the bases for amendment of a contract exist but, due to the circumstances, amendment of the contract is not possible or would not be reasonable with respect to the other party, the party aggrieved by alteration of the balance of the obligations may withdraw from the contract or, in the case of a long-term contract, cancel the contract. The application of this principle is subject to fulfilment of a number of further conditions. Shipowning companies do not pay any tonnage tax or annual corporate tax in Estonia. Only income tax is due on the distribution of dividends, which forms 21/79 of the dividends received. There is no age limit beyond which ships may not be registered in Estonian ship registries. 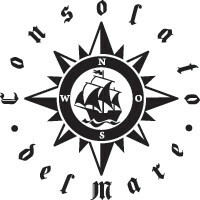 Consolato del Mare OÜ is boutique law firm specialized on shipping and maritime law. Consolato del Mare is advising its clients in wide range of question related to shipping and sea starting with shipbuilding, ship finance, SPA and ending with ship arrest, salvage and marine pollution cases.